Snaking along the majority of the rugged coast of California, highway 1 is one of the most scenic drives in the entire United States and is extremely popular with RV travelers. From the sunny Pacific Coast Highway (PCH) portion in southern California to the forested Shoreline Highway section in Mendocino County, highway 1 is home to many different RV parks, all of which have the sparkling Pacific Ocean as their main attraction. Located across the street from a public beach on the Monterey Bay, Marina Dunes is a tree-filled RV park situated just north of the city of Monterey on Highway 1. 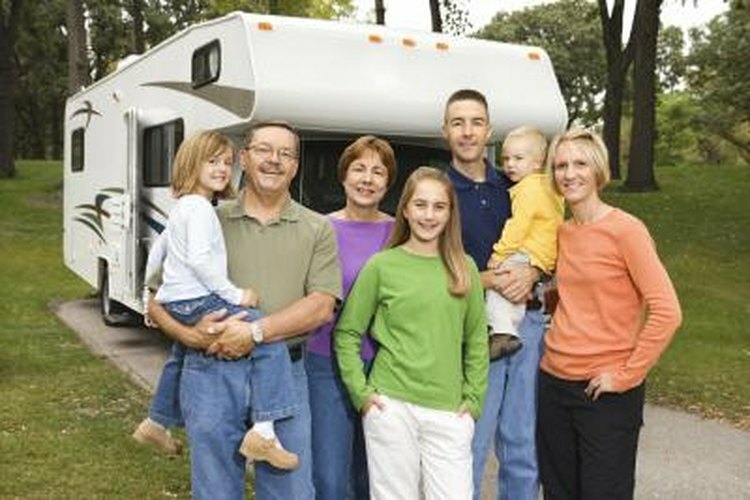 The RV park has 62 RV spaces that come with cable television and free wireless Internet access and feature fireplaces and private patios on each site. A club room with kitchen facilities, a wide screen television and pool tables are available for use by all guests. The on-site gift shop sells food, necessities and RV parts. The scenic town of Carmel, Point Lobos State Park and the Monterey Bay Aquarium are all short drives from the Marina Dunes RV Park. Located under the shadow of historic Morro rock and on a 9-mile stretch of Atascadero Beach, Morro Dunes is a peaceful and scenic RV park on California's Central Coast. The park offers 134 full hookup sites that include cable television and Internet services. Laundry facilities are available, and a convenience store is located on site. Morro Bay itself is a wildlife sanctuary and offers exceptional birdwatching opportunities. The area is home to numerous wineries and the famous Hearst Castle. Located midway between Santa Barbara and Malibu on the PCH stretch of Highway 1, the Ventura Beach RV Resort is situated on the beach in the historic town of Ventura. The RV park offers 144 full hookup sites that come with wireless Internet and access to showers, bathrooms and laundry facilities. An outdoor pool and Jacuzzi as well as basketball and horseshoe courts are available for guest use. A general store sells groceries and RV parts and rents bicycles for exploring the beach and the town of Ventura. During the summer season a variety of nighttime activities like karaoke, live music, movies and bonfires take place at the Ventura Beach RV Resort. Ventura Beach RV Resort 800 West Main Street Ventura, CA 93001-2500 (805) 643-9137 venturabeachrvpark.com?